In an ironic turn of events, tech professionals are not only cutting back on their daily tech consumption, but are starting to drop certain tools all together. That’s right, I’m talking about email. As this anti-email trend sweeps across the tech industry, employees from places like IBM and Buzzfeed are raving about the life-changing effects of quitting email. But for the first time since 1972, email providers like Yahoo are finally starting to streamline the daily deluge that arrives in your inbox. So is now really the best moment to give up on this tool as old as time? Probably not. But there are a few ways that you and your business can streamline the way you use email so that you stay in the loop at work while also reaping some of the benefits enjoyed by the cold turkey quitters. It’s no secret that cutting down on your email and social media consumption can have positive effects on your health and happiness. Like any social media site, email is addictive. 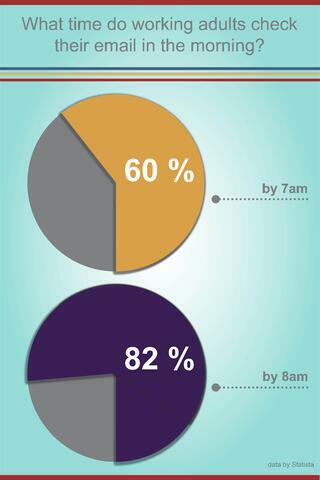 According to a Statista poll, almost 60 percent of working adults check their email by 7am and 82 percent check it by 8am - and many do so before even getting out of bed. If the first thing you do after opening your eyes every morning is scroll through your inbox or newsfeed, you can bet you’ll spend more time getting lost in the black hole of social media throughout the rest of your day. Although the desire to check your notifications might be strong, the new messages or information can almost always wait until you’re at the office, or at least until you’ve had your first cup of coffee. The same goes for your bedtime routine. According to sleep.org, the light emitted from phones, tablets and computers suppresses the production of melatonin, which controls our sleep and wake cycles. This not only makes it harder to fall asleep, but also to stay asleep throughout the night. Try switching to airplane mode at least 30 minutes before going to bed, and change your push notification settings so that you only receive email or social media notifications between 8am and 6pm. That way you can focus on the activities you really enjoy when you’re out of the office. When you do eventually have to face your inbox, do so in a way that doesn’t distract from the rest of your daily tasks. Carve out two or three 15-minute chunks to dedicate to responding to emails everyday. The rest of the time, keep your email tab closed. This will prevent you from checking your inbox every time you see that number in parenthesis increase. Some companies, like All Western Mortgage, are jumping off the email bandwagon and switching to programs like Unison, which uses in-app text and voice chats, and can help cut down company email use by an average of 80 percent. Other tools, like Google Hangouts make it easy to communicate with anyone in the office without being overly distracting or pulling your coworkers into their messy inboxes. Another increasingly popular option is Slack, which acts as a messaging and collaboration app that uses channels to organize different topics and has been labeled the killer of email. But with new email designs in the works, like Yahoo’s CardMail, these alternatives could soon become obsolete. CardMail aims to organize your inbox categorically, rather than in the reverse chronological order we’ve seen for over four decades. The system would also do away with the 70 character or less subject lines and replace them with a more user-friendly newsfeed style display. Chances are, both you and your company could benefit from these more streamlined workforce management systems and daily practices that will help keep you out of your inbox and more focused on the grind. Does your business use a different alternative to email? 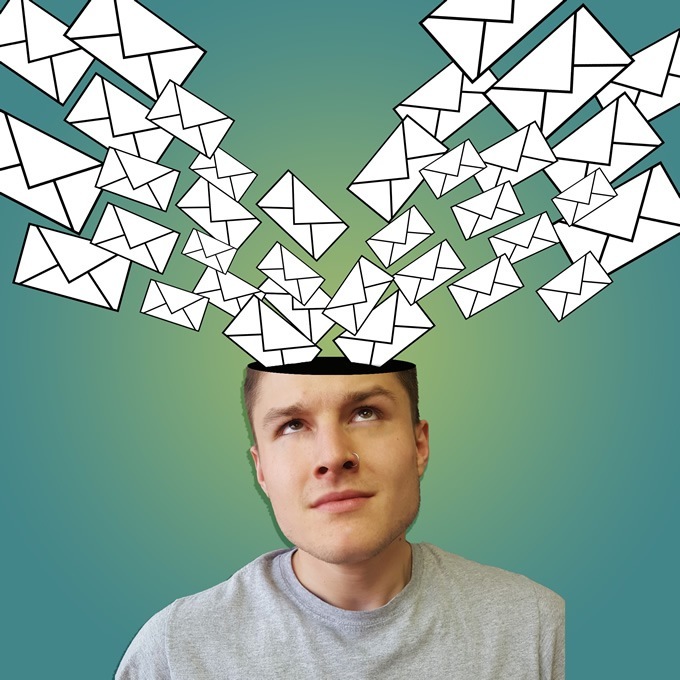 Do you have advice on how to handle your inbox more effectively? Share your ideas below!